DIMA 3D S.L. stems from a group of professionals with over 20 years of business experience, who share the same dream and future vision and decide to put their technical and management knowledge at the service of the 3D printing technology. In this way it was constituted as a start-up company from a research group of the University of Valladolid and a digital reprographics company. 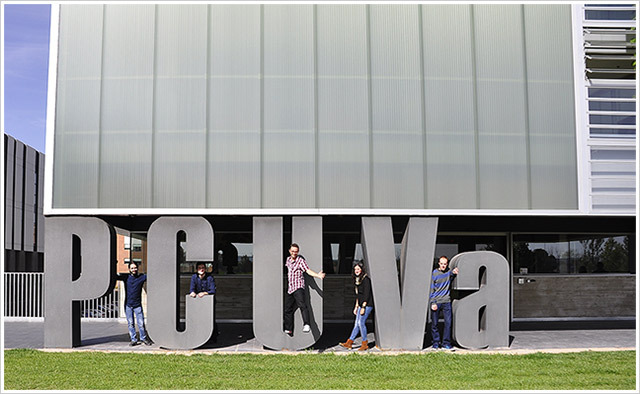 Our headquarters are located in the CTTA Building within the University of Valladolid’s Scientific Park at the Miguel Delibes Campus. We also have a warehouse, located near the headquarters, where we carry out the manufacturing activities and the development of new products. DIMA 3D team is composed of highly qualified and committed professionals to the Company, passionate about new technologies, with great capacity for teamwork and whose philosophy is to provide tailored solutions to our customers and bring 3D printing to all sectors and areas of society. That is why from the beginning our range of products and services has not stopped growing. Today we have a large customer portfolio and presence in many countries of the European Union such as France, The Netherlands, Sweden, Poland, United Kingdom and Italy.